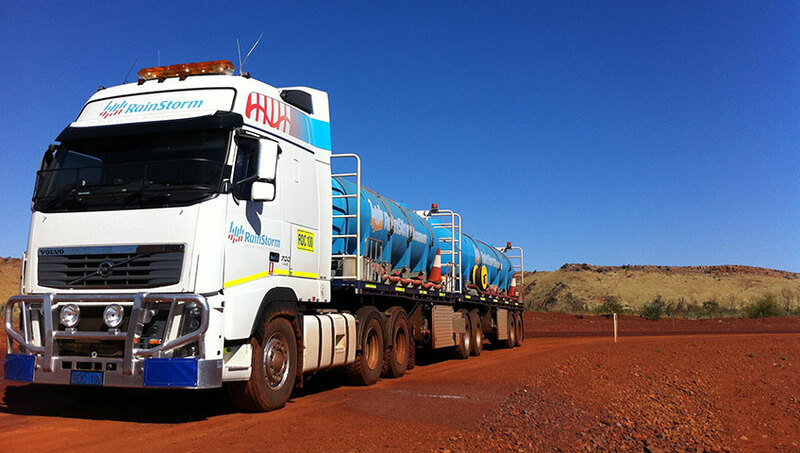 Rainstorm hold 30 years experience dedicated to Dust Control Service Delivery. Our experienced team of Operators are knowledgeable with a range of mining and civils site conditions and project requirements. Our experienced Rainstorm Client Support, Product Development and Operations team tailor products and application services to suit project conditions. Rainstorm have long held the view that dust control specialist application is just as important as the right product for the job. Where our clients or on site contractors wish to apply products, Rainstorm value working alongside site teams to support delivery with best practice application procedures, operational delivery support. Rainstorm offer turnkey delivery, from site visits at the outset, project scoping, product development/modification to suit unique site requirements, through to delivery of products and specialist application services, batching and tank farm systems and application procedures to hand over to on site teams. Rainstorm Install and Service Batching Stations, Automated Rail Car Veneering Systems and Dry Fog Systems for Mining & Civils projects.